Whether this is the first time you are going on vacation or you are just not sure what to bring, this guide has most of what you will need for an awesome stay in Hollywood, Florida at the hotel, or on the beach. Sunglasses – Sunglasses are definitely a necessity when going on vacation to Florida or the Caribbean, especially if you plan on sporting a bronze tan when you get back home. The sun down here can be very bright, much brighter than up North -- you are going to want to shield your eyes, especially if you have lighter-colored eyes. Prolonged sun exposure can give you a nasty headache, and can even damage your eyes over time, so bring those shades -- look cool, and stay safe! 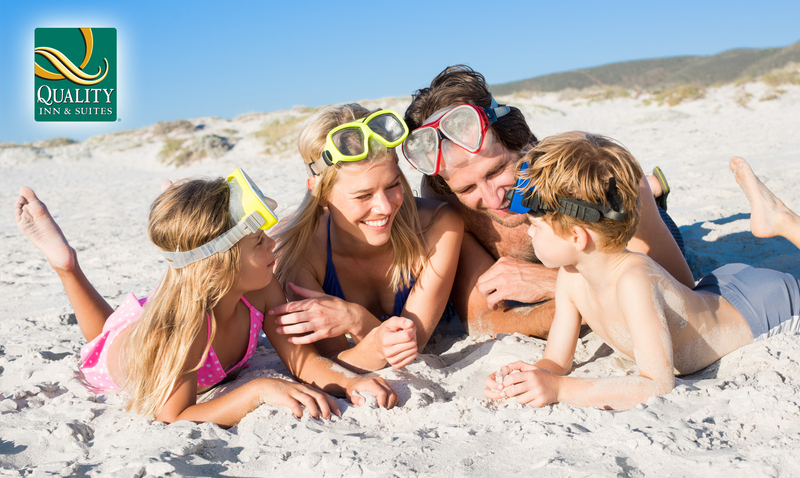 Bathing suit – Bikinis, board shorts, or any other bathing suit is definitely a must bring on a Florida vacation. However, if you have a hard time finding a bathing suit where you live, no worries. There are plenty of beach shops along the Hollywood Beach boardwalk with just about any swim suit design you can imagine! Wallet – Make sure you bring something sturdy to carry your money, credit cards and IDs. Nowadays, money clips, bands and magnetic snaps are in fashion, but they tend to not be as reliable at holding on to your valuables through travel, beach and pool time -- there is no substitute for a good, old-fashioned closed wallet. Sunscreen – As we mentioned earlier, sun down here in Hollywood, Florida is no joke. As you are lounging by the pool at our Hollywood hotel, or relaxing on Hollywood beach, you need extra protection from the sun. Make sure to get sunscreen with a higher SPF than you normally use to stand up to the tropical sun. Burning on your first day can spoil the entire vacation! Beach Towel – Beach towels are typically bigger than normal shower towels, meaning these towels are perfect for laying out on the beach. This is another item that, if forgotten at home, can easily be purchased at any beachside shop in Hollywood. Snorkel and Goggles – when you get tired of lounging and cooking in the sun, jump in and take advantage of the crystal-clear South Florida water. Snorkeling allows you to see what is under the water and has been known to allow snorkelers to see colorful tropical fish and even coral reefs in some places. Poncho – Weather can change in an instant, so having a poncho in case a torrential downpour occurs is a vital precaution. If it starts raining -- and in Florida, rain sneaks up on you fast, you will be happy you brought one! Playing Cards – Again, if it starts to rain and you have nothing else to do, playing a game of cards can help to kill some time while you are hanging out in our Hollywood hotel!